The Spartans Community Football Academy has a fantastic team of dedicated people who manage and deliver our programmes, ensure customers are happy and make sure that our facility is in excellent condition. Douglas has been involved in the creation and delivery of The Academy and it’s wide range of community programmes since the summer of 2006. He was initially employed as the Business Development Manager before becoming Academy Chief Executive in 2014. In addition to leading the organisation Douglas has supported and mentored various community projects across the country, and shared The Academy's vision, insights and experiences with other sports, sectors and organisations from all over the world. In 2016 he won the prestigious Ernst and Young Scotland Social Entrepreneur of the Year in recognition of his role in overseeing the development, growth and achievements of The Academy. Prior to working at The Academy, Douglas worked at Standard Life for 21 years in Operational Management, Leadership and People Development roles. Debbi graduated from Abertay University with a BSc (Hons.) in Sports Development with Coaching which led to a career in football development and coaching. She started her coaching career at Dundee United Football Club as a community coach and in 2003 moved to Ross County Football Club where she delivered the biggest community coaching programme in Scotland. Debbi currently manages the daily operations of our busy facility at The Academy. 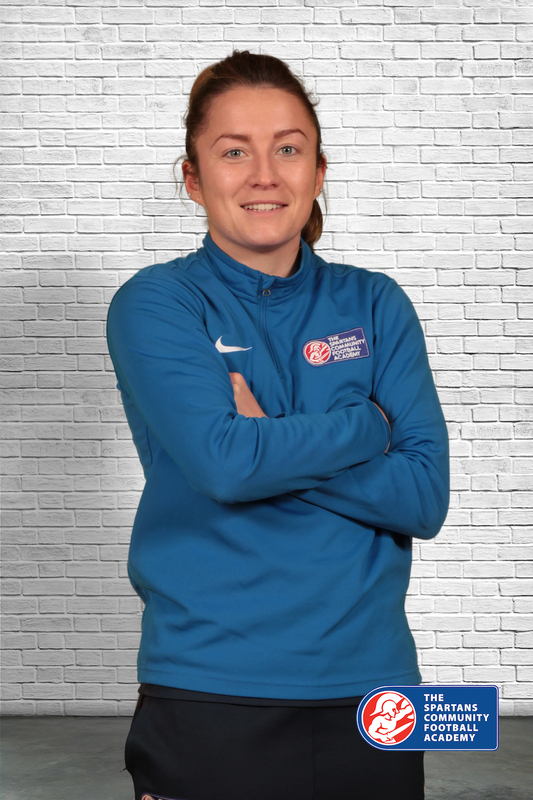 A footballer through and through, she has also been Performance Centre Coach for the SFA South East Women’s Performance Centre, developing elite level international players. She holds UEFA A Licence and has been Head Coach for Spartans Women's Team leading them to a SWPL Runners Up position, five SWPL League Cup Finals and the Scottish Cup Final in 2014. She was awarded the SWPL Manager of the Year for Season 2014. Debbi is also a graduate of the Common Purpose Edinburgh Meridian Senior Leadership programme. Paul joined The Academy in 2009 as a Duty Manager. He soon become a part of the maintenance team and became Facilities Development and Maintenance Manager in 2013. and is responsible for overseeing the upkeep of the facility. Paul is also the Safety Officer for Spartans Football Club where he is in charge of games and major events. He is currently studying Spectator Safety Management Level 4 NVQ. Away from The Academy Paul is co-owner of Perfectly Paris Hair and has a daughter Patsy who is 3 years old. Kenny was one of the first members of staff at The Academy and is currently our Youth Work Manager where his is responsible for the development and growth of our key social impact and youth work programmes including FooTEA Clubs, Spartans Smilers and Street Fit-Baw. Kenny has an HND in Sports Coaching with Sports Development from Telford College. He particularly enjoys working in the community where he grew up, providing opportunities for local young people. In 2014 Kenny was nominated by local school children to carry the Queen’s Baton for the 2014 Commonwealth Games and was also nominated for the Scottish Youth Worker of the Year. Nic joined the staff team in 2013 after graduating from Edinburgh University with a Bachlor of Arts degree in Education. She started her coaching career aged 15 with Livingston Football Club as a volunteer community coach and whilst studying at University led sessions on behalf of Xcite West Lothian and the Little Kicks Franchise. In her 5 years at The Academy, Nic has progressed from Community Coach to Girls' and Women’s Football Development Officer and in 2018 was appointed Football Development Manager. Her main responsibilities involve overseeing and managing the running of our Community Coaching Programmes. She holds UEFA B Licence and outwith the Academy is the Head Coach for Edinburgh University’s Women’s 2nd team. Nic has worked with the team for 3 years and led them to promotion to the 1A Scottish University League and seen them become Scottish Student Sport Cup Winners. In her free time she trains and plays with Edinburgh University Hutchison Vale Ladies squad who complete in the SWPL 2 league.